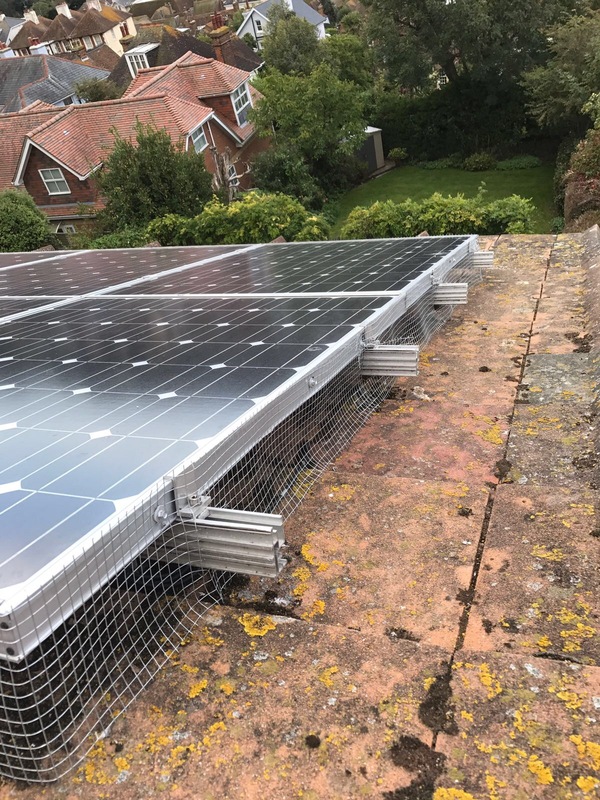 Having carried out thousands of solar PV installs nationwide, one thing that can become a problem to the installation of your solar system is the nesting of pigeons under your panels. We are able to tailor a bespoke vermin protection package for your PV array. This will include full cleaning of the solar PV array, and professional hard wearing meshing around the entire installation to ensure it is protect ted against such threats. Contact us today to see if we can help protect your investment.